Admissions data shows that there are plenty of female students applying and being accepted to Mines. But when it comes time for them to commit to becoming an Oredigger, the numbers follow a downward trend. 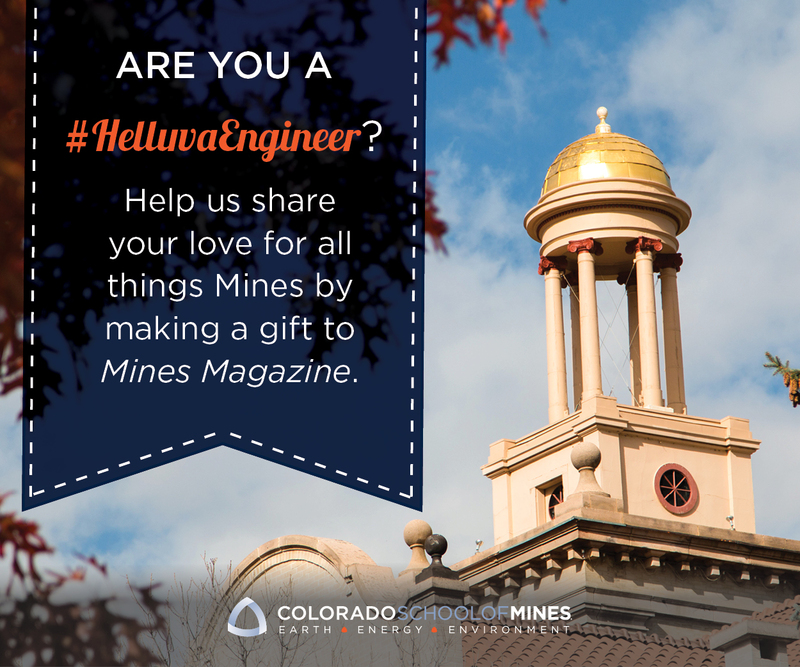 To help reverse this and achieve Mines’ goal of increasing the number of female students on campus to 40 percent, the Women of Mines alumni interest group strives to engage alumnae and campus partners and encourage women to pursue their passions at Mines. The group is currently working closely with the Office of Undergraduate Admissions to encourage accepted female students to commit to the university. One of the most successful programs they’re involved with is admission’s Making the Connection events. Alumnae are encouraged to sit on a panel for accepted students and their parents to talk about their Mines experience and professional success. “I like having the opportunity to connect and reach out to other women who are in similar situations and try to help facilitate any conversations and questions they might have and help show them the opportunities available at Mines,” said Beth Hutchinson ’07. Hutchinson, who works at United Launch Alliance, wanted to impress upon prospective students that Mines is a place where lasting relationships are made and that students are fully supported, regardless of their gender. During the 2016-2017 recruiting season, Mines held six Making the Connection events on campus and had a total of almost 200 prospective students and their parents attend, with both groups saying the alumni panel was a huge help in making this important college decision. Although the events have been held for the last 10 years, 2016 was the first year the alumni panel was incorporated into the programming. Breaking stereotypes about what kind of students come to Mines and go on to be engineers is also a critical piece of the interest group and these events. Of the 30 students in the Mining Engineering Department’s 2017 graduating class, only two are women. “I think one summer when I was working in the mines, I realized oh, there is a difference here. As you get into more specialized classes you notice you’re the only girl,” said Erika Nieczkoski, a mining engineering student expected to graduate in the fall. That didn’t stop her from pursuing that degree; she made sure the men in her class knew she could do anything they could do, including using a 150-pound jackleg drill. Keturah Baxter, a chemical and biochemical engineering major set to graduate in 2017, knows firsthand how important an inside scoop can be before coming to Mines. Although she started college before the alumni panel was offered, she was able to turn to her mom’s friend for guidance. “She graduated from Mines in 1995 when there were still urinals on the girls’ dorm floors. I do wish that someone had reached out and told me more about opportunities in Society of Women Engineers (SWE) and things like that because I didn’t really get involved until my junior year,” Baxter said. With quality feedback (65 percent of the students who attended Making the Connection events within the past year have committed to enroll so far), the admissions office is looking to find new ways to bring together students and alumni, with more of a personal touch. One reason accepted students turned down Mines was that they received personalized attention from other schools and felt more welcomed than they did at Mines. Alumnae in the Women of Mines interest group, along with SWE and other groups on campus, have started sending personalized postcards to accepted female students, congratulating them on their acceptance and encouraging them to enroll at Mines. “The female students applying to Mines are applying to eight different schools versus the seven that the male students are applying to. The competition for strong women is fierce, so these postcards offer an easy way for alumni to connect with students and have a big impact,” said Medina.